Are you looking for an affordable Adobe Acrobat alternative? Why not try iSkysoft PDF Editor 6. This intelligent PDF solution learns what you need and simplifies your workflow, with fully compatibility with Adobe Acrobat? PDF files. It?s an all-in-one PDF solution with Editing, Converting, Annotations and it?s automate Form Processing and Data Extraction can even free SMBs to do better on PDF forms, invoices and reports. Key features of iSkysoft PDF Editor 6. 1. 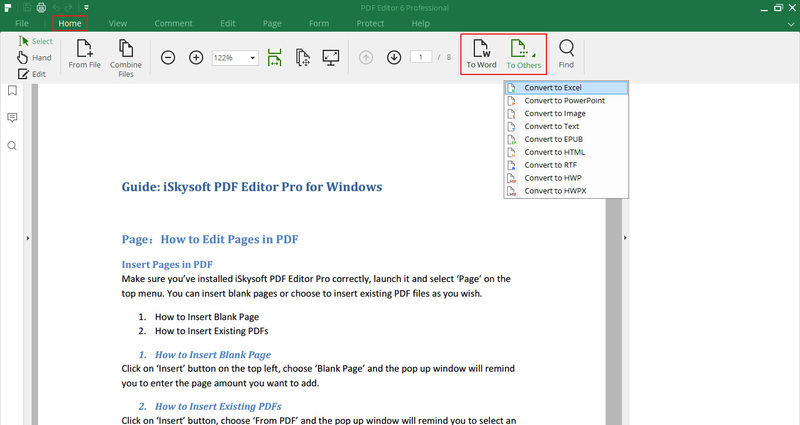 Edit PDF： Easily edit PDF texts, links, images and more with the PDF editor for Windows. Markup, annotate and comment PDF with multiple markup tools. 2. Convert PDF：Convert PDF to Word, other Microsoft Office formats, EPUB, RTF, Pages, HTML, images, etc. 3. Create PDF：The best Word to PDF converter helping you to create PDF in high quality from Word, Excel, PPT, Email, existing PDF, images, Web Pages, text files, etc. 4. Combine and Split：Merge multiple PDF files into a single PDF or split a PDF into several PDFs. 5. PDF Form：Fill out PDF forms as easy as a breeze and create PDF form with free PDF form templates. 6. Secure PDF：Protect PDF files with passwords and add watermark and signature to PDF. Create, Edit, Convert, Sign and Secure PDF files on Mac and Windows, easier and faster! Working harder or working smarter? With iSkysoft PDF Editor 6, your business is more effective. Go to pdf.iskysoft.com to switch to the Powerful yet Affordable PDF Alternative today. Sporting a cross-platform compatible file format, Project Canvas files can also contain an unlimited number of cards and buttons. Buttons can perform a variety of actions from getting and setting variables, playing movies, and transitioning between cards with visual effects to playing sounds, playing music, speaking text, prompting the user for feedback and more! One of the most versatile features of Project Canvas is the ability to export a Stand Alone copy of a stack. The stack will be exported as an executable file that can be run without having to have Project Canvas installed! In addition, specify special kiosk-style features like hiding the menubar or making the stack run full screen. Wondershare PPT2DVD Pro is a reputed tool designed for easily creating high quality DVD movies and videos from PowerPoint presentations by retaining animations, sounds, video clips and even links between slides. 5. The first PowerPoint to DVD program supports PowerPoint? 2007 and Vista. When you need to play the slide in Powerpoint is not installed on the machine, the Ezovo Powerpoint to Swf Converter PPT help you to achieve this function. It can make you have already made good PPT files into swf format file, so that you can play on any machine. 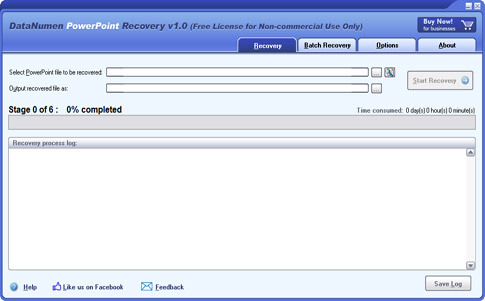 Free Convert PowerPoint to Flash Converter is a professional excel and flash conversion tool. It can batch convert powerpoint, ppt, pptx, pptm to flash video(flv) and shock wave flash(swf) with high quality. Advance Features Easy to use. Do the conversion only with 3 steps. High-quality, High-efficiency, High-speed. Separate convert one multi-page file to multi-file. Combine convert multi-file to one multi-page. Convert various format file to one format once. Choose adding the watermark of image conversion. More parameters to control to output doucment, image, flv and swf. System Requirements 1G Mhz Pentium ll CPU or higher. 256 MB RAM Memory or higher. 100 MB free hard drive space. Windows XP/2003/Vista/win7/win8. Microsoft-office2000-2007 version, or higher. Adobereader 7 or highter(pdf conversion need). IE 6.0 or higher. Free Convert PowerPoint to Pdf Converter is a professional pdf conversion tool. It can batch convert Powerpoint to pdf with high quality. Advance Features Easy to use. Do the conversion only with 3 steps. High-quality, High-efficiency, High-speed. Separate convert one multi-page file to multi-file. Combine convert multi-file to one multi-page. Convert various format file to one format once. Choose adding the watermark of image conversion. System Requirements 1G Mhz Pentium ll CPU or higher. 256 MB RAM Memory or higher. 100 MB free hard drive space. Windows XP/2003/Vista/win7/win8. Microsoft-office2000-2007 version, or higher. Adobereader 7 or highter(pdf conversion need). IE 6.0 or higher.